Manage your account online: Review unbilled charges and current statements, and make and schedule your payments. Keep track of fuel purchases separately: Perfect for tracking your budget. Also helps keep your credit open for “big ticket” purchases. Flexible terms: Option to make the minimum payment due or pay in full. Additional cards at no cost: Put your whole family’s fuel purchases on one statement. Citi® Identity Theft Solutions: If you become a victim of identity theft, Citi® can provide specialized assistance. *Subject to credit approval. Account must remain open and in good standing to qualify. Credits will be automatically posted to your monthly billing statement with qualifying purchases. As used above "month" refers to your monthly billing cycle. 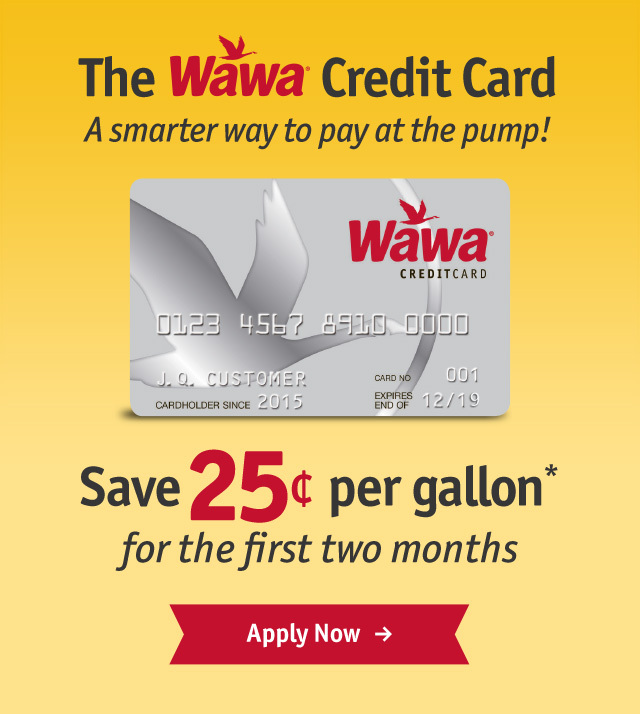 Terms and conditions of the Wawa Fuel Savings Program apply.